Millions of auto accidents take place in the US, annually. Most, thankfully involve damage to one’s property, that is a damaged vehicle after a auto accident. But every one of three accident cases involve a personal injury and 2 out of 10 times that injury turns out to be fatal. That’s still a pretty big number. There are things that you need to do after a auto accident no matter how major or minor it is and no matter how helpless you feel, so that your interests, rights and your person is protected. For best results, it is better to call auto accident attorney javier marcos. Here are Some of the steps to follow after an auto accident. There are both major and minor accidents that happen every day. If you’re indisposed and have suffered an injury, you may have no option but to stay. Even if you are not (visibly) injured after a car accident, no matter how minor the accident was, you should not flee the scene. You may have injuries that take a hold later or internal injuries that may not be felt or become apparent immediately after the accident. But that doesn’t mean those injuries didn’t happen. If your accident occurred on a busy road or highway, you should do what you can, safely, to prevent more accidents from happening. You can use flares, keep the hazard lights on. Always carry a flashlight in your glove compartment if you are travelling at night. That way, if you are involved in a car accident, you may be safe by indicating to people that there is a car ahead, stopped on the road, if your car’s lights don’t work properly. Similarly, you can also pull up to the side of the road if your car is still drivable. This is important, even if you didn’t suffer injuries. The police report that the officers make can help you file your insurance claim, personal or to property, after a auto accident. The investigating officers should be bought up to speed as accurately as possible when you give your account. If you’re unsure of something, make that known to the officer interviewing you. Guessing, misstatement and speculation is a definite no. When asked if you’re injured after a auto accident, say you’re unsure if you don’t know. If you’re not injured after an accident, with as little movement as possible, try to capture pictures of the scene after a auto accident. Even if it is through your mobile phone. If you have a car camera, that’s even better. Take a picture of your own and the other party’s vehicle for visible damage. Make sure you’re not impeding the investigation happening in any way. Take the pictures after the accident when possible. You should exchange insurance papers with the other party involved. Get the names and numbers of the people involved and those who witnessed. Contact your attorney and then let them contact your own insurance company to report the accident. 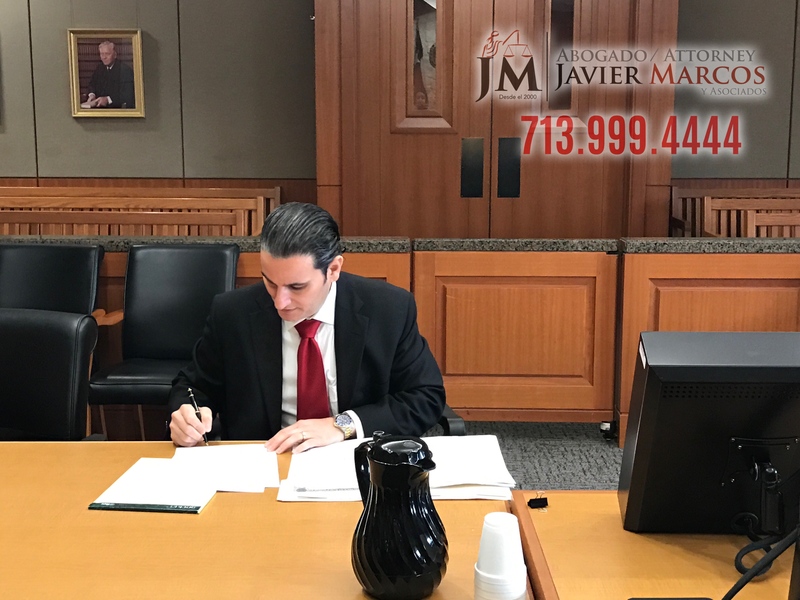 Contacting auto accident attorney Javier Marcos, before insurance, allows you to increase your chances of getting the right compensation for your injuries and damaged property. You should also seek medical help if you are injured. Call 24 hrs for auto accident attorney Javier Marcos at 713.999.4444. Free consultation and we visit your home or hospital.